Waypoint Academy serves the needs of students who are experiencing significant difficulty in their home school districts’ educational programs. The Waypoint Academy Program is an alternative school environment, which provides effective programming for students with emotional and/or behavioral disorders. All referrals to Waypoint Academy must be made through a student’s home school district. The aim of the Waypoint Academy is to increase teaching and learning time and reduce the time students spend on non-productive behaviors. In addition to an educational and therapeutic milieu, students access clinical support from full-time counselors at the Academy. Effective programming for students with emotional and/or behavioral disorders requires broad-based and intensive work with families, providers and other support systems. We provide essential programs that develop appropriate and strong support for our students, so that they can achieve success developing both academic and social skills, while aiding them to experience a more normalized educational process. Waypoint Academy offers both middle school (latency program) and high school classrooms. 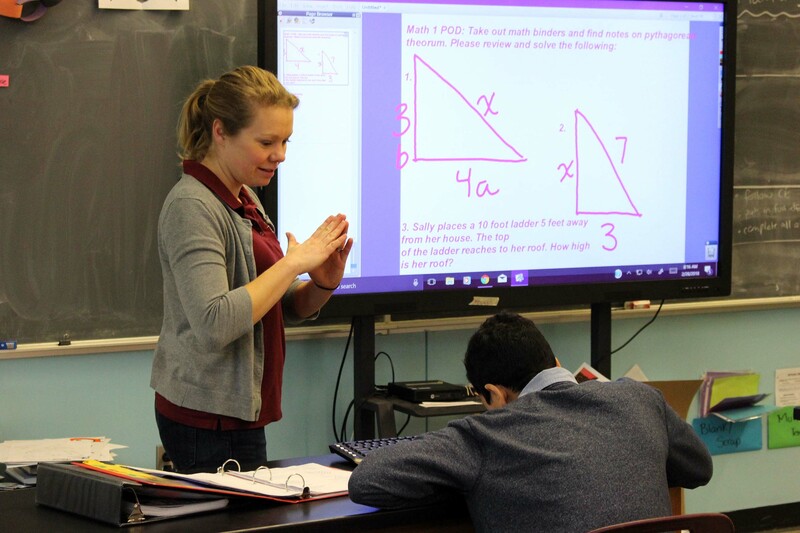 Waypoint Academy strives to meet the individual needs of students in the following developmental areas: clinical, academic, behavioral, and adjustment. Program supports are available in each area to assist students in building upon their successes, improving self-esteem, and strengthening academic, organizational, and communication skills. Each student has an identified plan, which delineates specific objectives in each major need area or diagnostic area. These objectives make up the primary focus of treatment planning for each student. The intent is to help students achieve healthy, balanced growth in each need area, and develop the autonomy and maturity to eventually achieve this growth with emerging independence and a successful transition to less restrictive settings. The work of the clinical staff is tailored to the individual needs of the students to support learning and gains in conflict resolution skills, experience effective team building, develop communication skills, develop transition skills, participate in social skill assessment and training, and develop improved regulation skills. The Waypoint Team helps to provide diagnostic information and treatment services that prepare students for reintegration back to their home school district and sets them up for success in a less restrictive setting. There is a strong emphasis on hands-on and project-based learning experiences, with age appropriate academic and behavior expectations. All students are working to meet their home district’s requirements for graduation. Transition to the workforce or postsecondary education is also a supported goal.